These short run business cards were printed using HP Indigo technology. Our client needed razor sharp resolution for this project and so we ran the job at an enhanced High Definition setting which only HP Indigo technology can achieve. 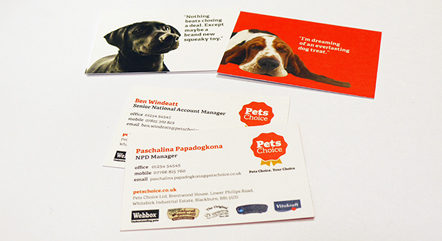 These business cards were printed on 400gsm Splendorgel and delivered in less than 48 hours!